DOES THE VIRGIN MARY HAVE A MESSAGE FOR YOU? PROPHECY, WHAT IS IT ALL ABOUT? NEWSWEEK, August 25, 1997 - "A growing movement in the Roman Catholic Church wants the pope to proclaim a new, controversial dogma: that Mary is a Co-Redeemer (Co-Mediatrix). Will he do it, maybe in time for the millennium (which actually begins 2001)? Such a move would elevate Mary's status dramatically beyond what most Christians profess. But in the last four years, the pope has received 4,340,429 signatures from 157 countries - an average of 100,000 a month - urging His Holiness, John Paul II to exercise his papal infallibility to proclaim this new dogma. . . In place of the Holy Trinity, it would appear, there would be a kind of Holy Quartet, with Mary playing the multiple roles of daughter of the Father, mother of the Son and spouse of the Holy Spirit." What is the secret of Mary's mysterious power? 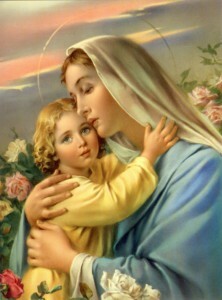 The NEWSWEEK article goes on to state, "The secret of Mary's mysterious power may be just this: having no history of her own, she entices every new generation to draw her portrait. The Bible offers only scraps to build on . . . From this meager line of development, Mary gradually grew in stature. Astonishingly, this obscure Jewish mother absorbed andtransformed the most powerful pagan goddesses. She was the Madonna who gives life, but also the pieta who receives the dead. Once asceticism became the privileged road to Christian holiness, she became the perpetual virgin, the model of chastity and self-denial. In 431, the Council of Ephesus issued the first dogmatic statement of Mary: she was to be honored as Theotokos, the Godbearer or Mother of God . . . In the 19th century, long after many Protestant reformers had rejected the cult of the Virgin as popish nonsense, Pius IX proclaimed the Immaculate Conception Catholic dogma." 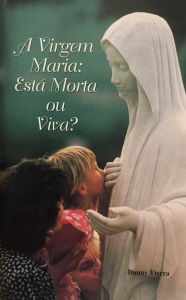 Is the Virgin Mary Dead of Alive? by Danny Vierra, a former Roman Catholic, addresses this phenomenon of Mary. This little book is currently up-to-date and filled with documentation from the Scriptures and historical works. 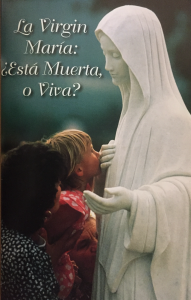 We want for you to find out for yourself what the Virgin Mary is all about. We want you to have a copy of this dynamic book!